Brexit = Beginning of British Bubbly? 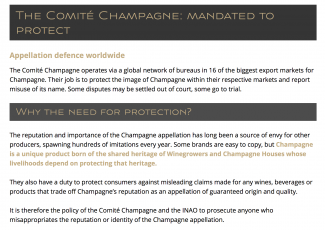 This statement from Comité Interprofessionnel du vin de Champagne (CIVC) leaves no room for debate: ‘Champagne’ must be from Champagne. In order to use the famous name, Champagne wines must be produced in accordance with strict criteria, but most notably they must be grown, harvested and produced within the Champagne delimited region. Since 2005 the CIVC has staunchly protected the Champagne appellation, preventing any misleading claims made by wines, retailers and even journalists (see Champagne Jayne case), that are deemed to be deceivingly dining off of Champagne’s reputation. This has all been made possible by the European Commission, which granted ‘geographical indication’ (GI) status to 1,150 products across the EU’s 28 countries. This essentially means companies may only use the name of a locality if the product they are marketing is from that area. However, with Brexit looming there are concerns over the future of EU GI’s after the withdrawal of the UK. Once the UK has left the EU, it will technically no longer have to abide by the directives, effectively paving the way for the potential renaming of goods such as ham as ‘English parma ham’ or sparkling wine as ‘English Champagne’. Cheddar cheese and Scotch whisky would be preserved. What will Brexit mean for the wine trade? Ah, Brexit. First we were told to expect rising alcohol duty, then higher inflation due to the pound’s devaluation and now the potential loss of the protected status of foodstuffs. So what will this mean for the wine trade and for Champagne? Rather than patriotic glee, our reaction is one of practicality: the likelihood of a new relationship being proposed to include the mutual recognition of GI’s is high. However for now, post-Brexit life is as uncertain for wine lovers as it is for anyone and only time will reveal the reality of its impact. 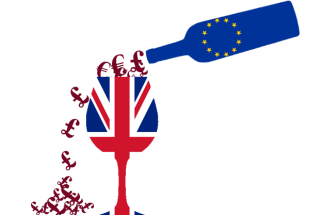 On the bright side, let’s hope this uncertainty over (and rising cost of) EU wine will allow English alternatives the opportunity to flourish outside of their niche and become real competitors in the wider market.